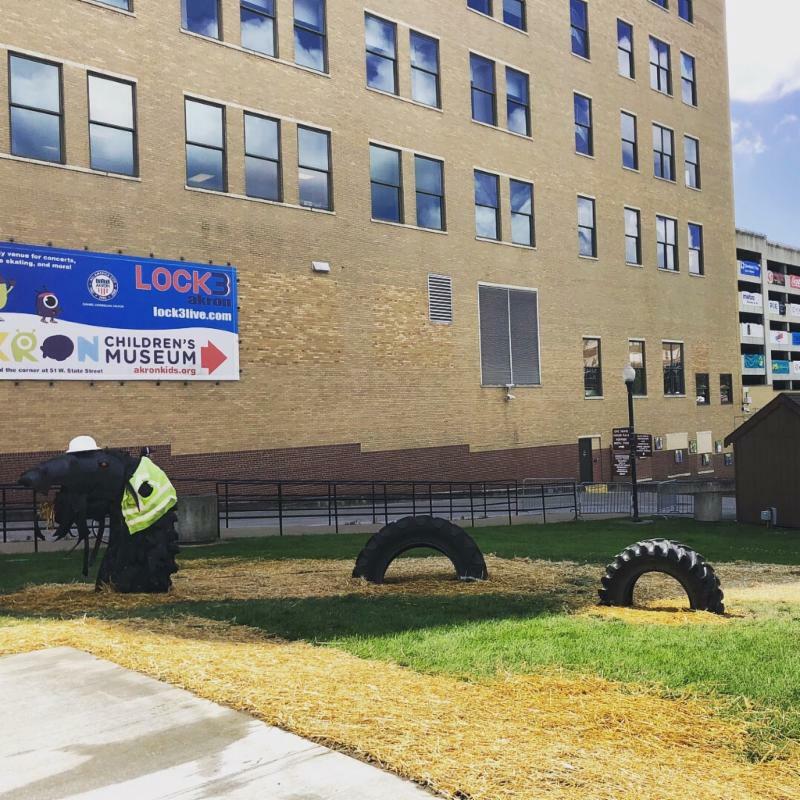 Downtown Akron Partnership is revealing a third public space improvement with support from the John S. and James L. Knight Foundation, this time in the heart of downtown Akron at Lock 3. The space lift, known as Lock Next, is the outcome of recommendations from urban design firm Gehl Studio focused on building more vibrant public life in downtown. A public opening of the space is Sept. 20 from 4:30 p.m. to 7:30 p.m. during the monthly 3rd Thursday event. Lock 3 was identified as both an attractive place for people to gather for events, but also as a missed opportunity to encourage people to linger before and after other experiences in the district. "People often come into downtown for one experience and leave afterward," said DAP President and CEO, Suzie Graham. "Lock Next gives people the opportunity to come for one thing, and stay for another." The effort is launched in partnership with the City of Akron, who owns and operates Lock 3, with the day-to-day supervision done by Downtown Operations Manager Tish Jernigan. Lock 3 employees will serve as operators of the pilot throughout the test period that includes the holiday ice skating season. "We are curious about testing a space like this during all seasons," said Deputy Mayor for Integrated Development, James Hardy, who oversees the management of Lock 3. "Activated outdoor spaces are popular, even in cold climates. Many cities have heated outdoor spaces that complement wintertime activities. This gives us an opportunity to see how Akron will react to spaces like this. If we find success, this may become a model that restaurants can explore as well." "Great public spaces are essential to Akron's success, helping to keep and attract talent to the city and attaching people to place. 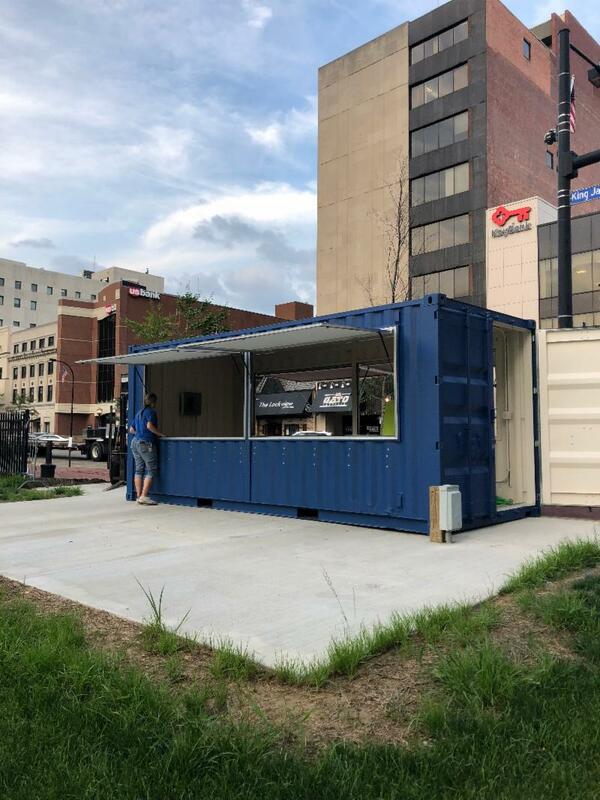 This new project will help add more vibrancy to Akron's downtown, drawing people out of their offices and homes to meet and connect," said Kyle Kutuchief, Knight Foundation program director for Akron. The space is outfitted as an all-ages experience, providing opportunities to relax in a hammock, play with giant construction toys by Imagination Playground, socialize at the retro-fitted shipping container or enjoy a Lock Next beer from Thirsty Dog Brewing Co., a beer shake made with Chill Artisan Ice Cream and Thirsty Dog beer, coffee from Akron Coffee Roasters, a gourmet soft pretzel or other local snacks and drinks. The space also comes with a whimsical Lock Next Monster created out of repurposed tires by local artist John Comunale. Programming the edge of a public space makes it more inviting. The installation explores different ways of thinking about the boundary between the Lock 3 space and the sidewalk, allowing people to move in and out of the space while taking a walk down Main Street. The project is capitalizing on the reconstruction of Main Street as a chance to test ideas before making them permanent. Learning how to better design and program public spaces in conjunction with the rebuilding of downtown is a once-in-a-generation opportunity. Taking cues from the Akron Civic Commons project, each of the space lift projects to date (Northside Green, Cascade Plaza, North High Street) have been planned in tandem with stakeholders in or near the spaces, along with support from the city of Akron, and implemented with the help of local artists and makers. Each space lift is evaluated and improved over time to help build understanding of how to better design urban spaces for people. Reservations for the event can be made on Eventbrite.